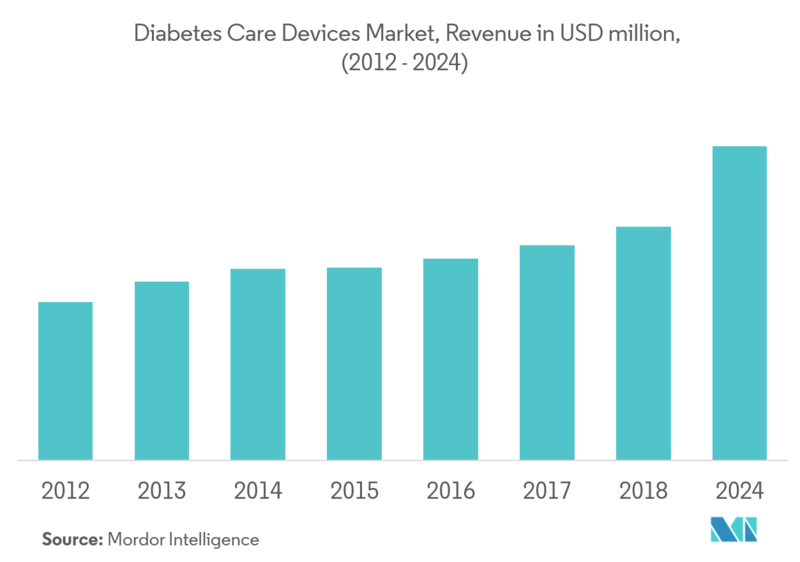 The global diabetes care devices market is expected to register a CAGR of about 6.8% during the forecast period (2019-2024). Asia-Pacific is anticipated to dominate the market during the forecast period, owing to the rising prevalence of obesity in the region. Technological innovations and advances give much convenience in measuring the blood glucose levels. One such advancement in monitoring the blood glucose levels has established with continuous glucose monitoring devices. 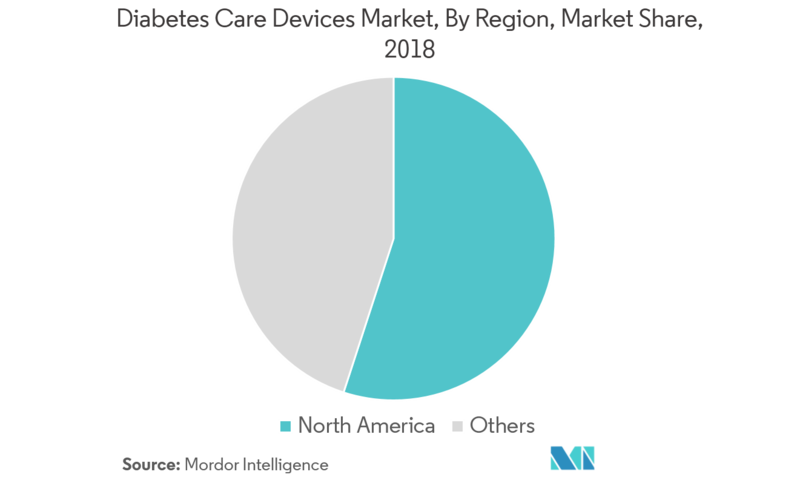 The Diabetes Care Devices Market is segmented by management devices (insulin pumps, insulin pens, syringes, cartridges, and jet injectors) and monitoring devices (self-monitoring blood glucose (hospital and personal use) and continuous glucose monitoring), and geography. 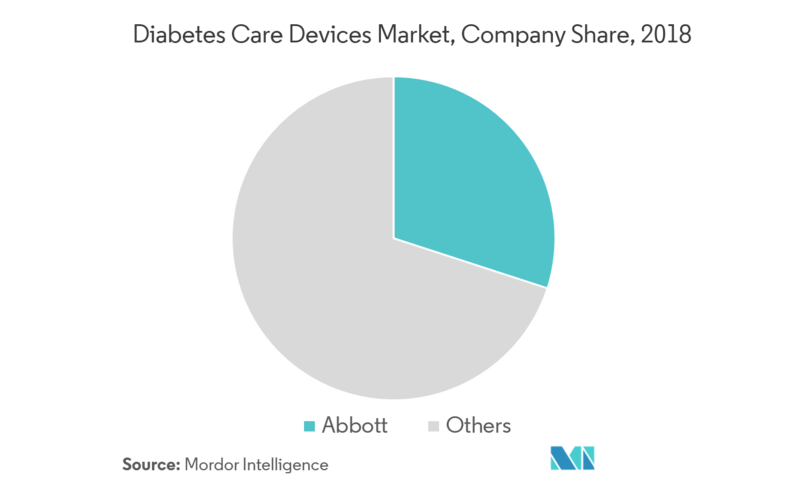 Growing prevalence of diabetes is the major driver for the global diabetes care devices market. 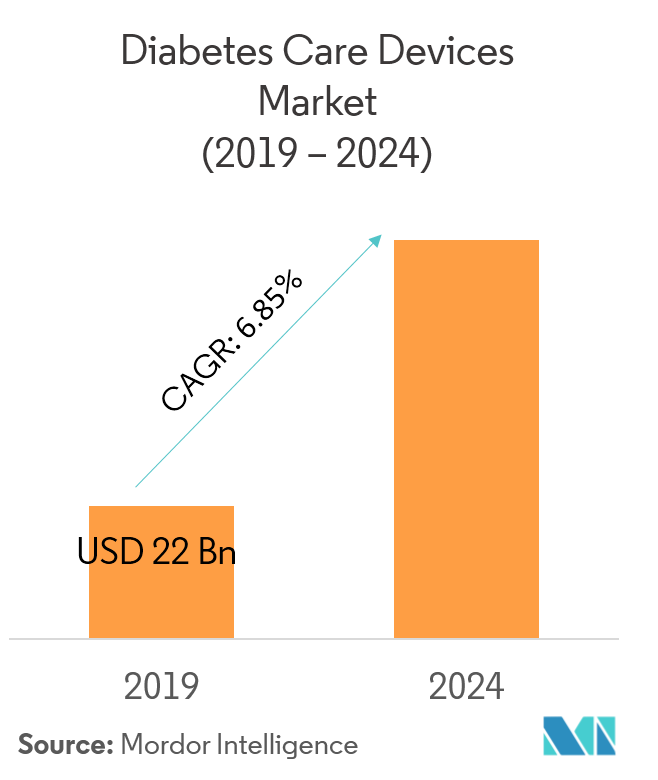 Additionally, rising awareness regarding diabetes care, growing prevalence of obesity, and technological advancements are further driving the market for diabetes care devices. In March 2018, Medtronic PLC received the US Food and Drug Administration (FDA) approval for Guardian(TM) Connect continuous glucose monitoring (CGM) system, for people with diabetes aged between 14-75 years.